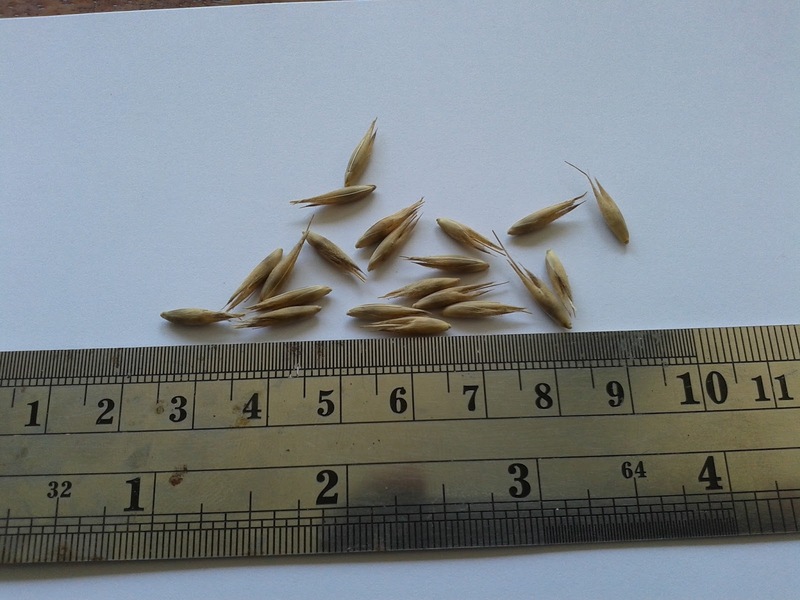 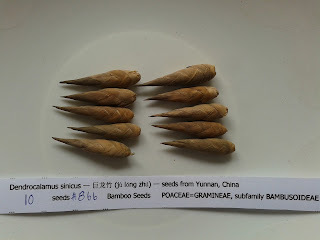 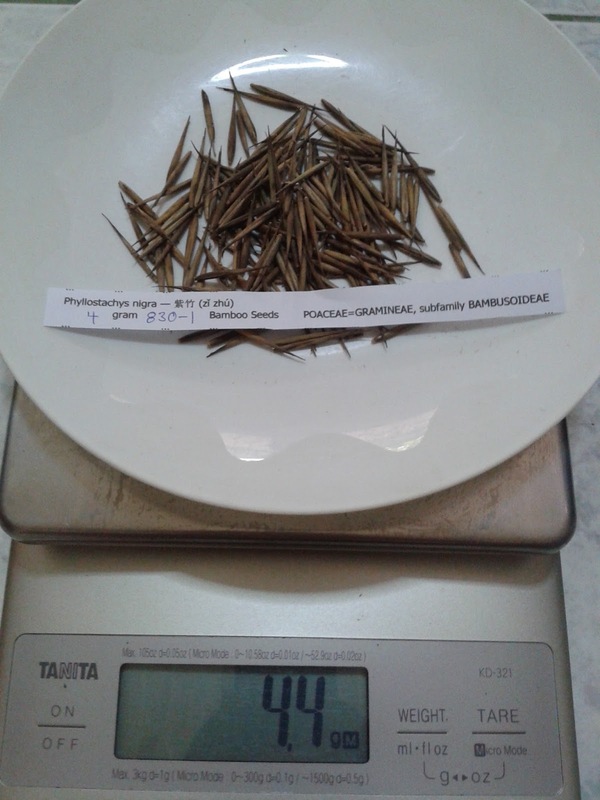 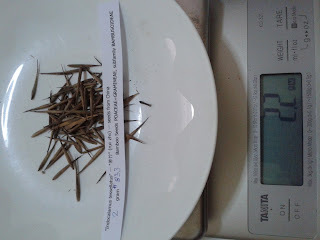 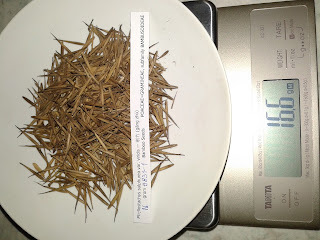 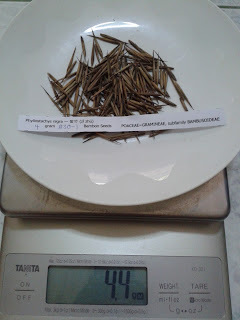 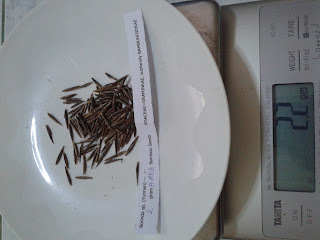 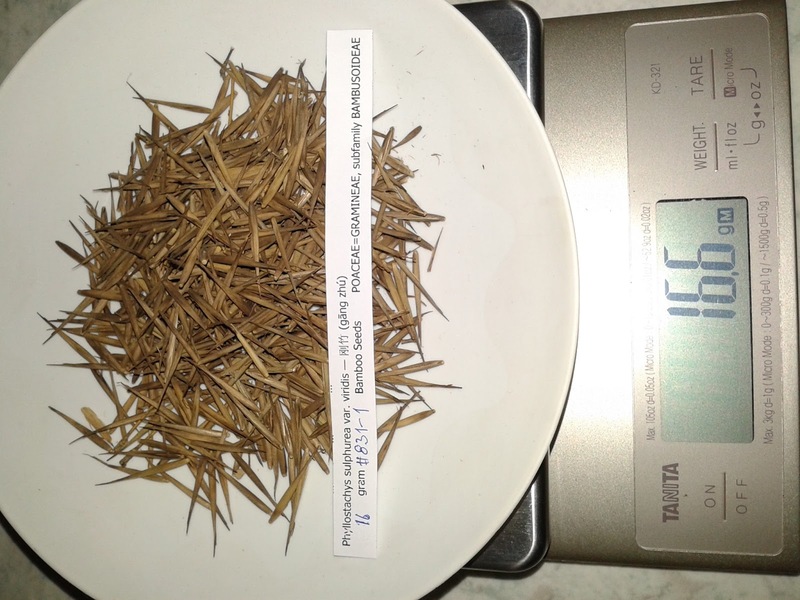 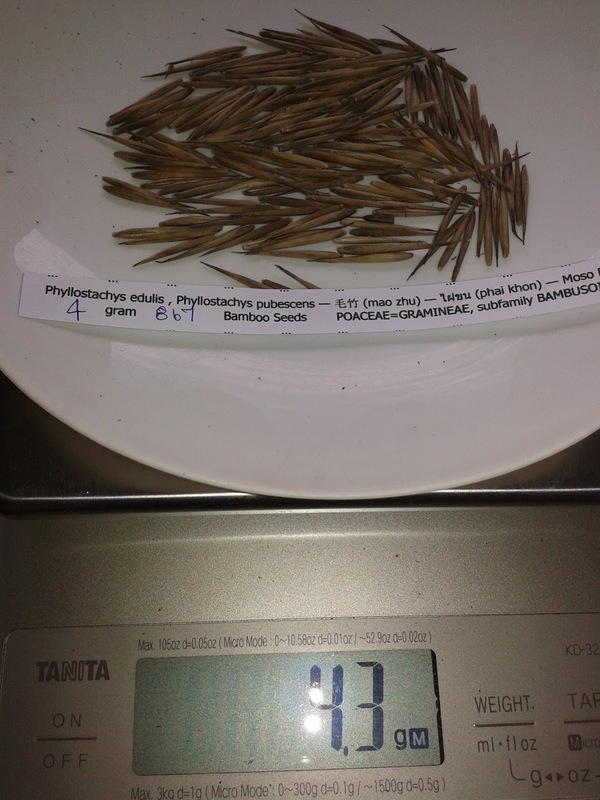 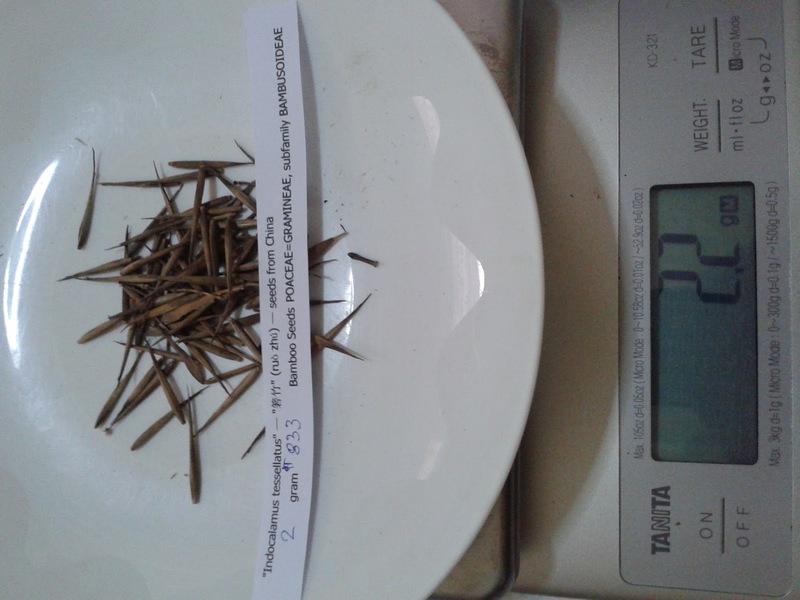 Harvested Cephalostachyum pergracile seeds today. 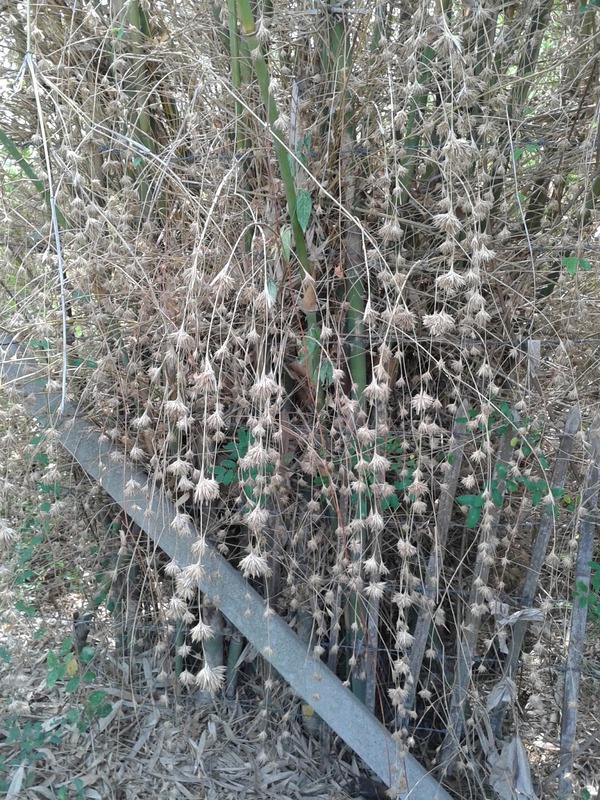 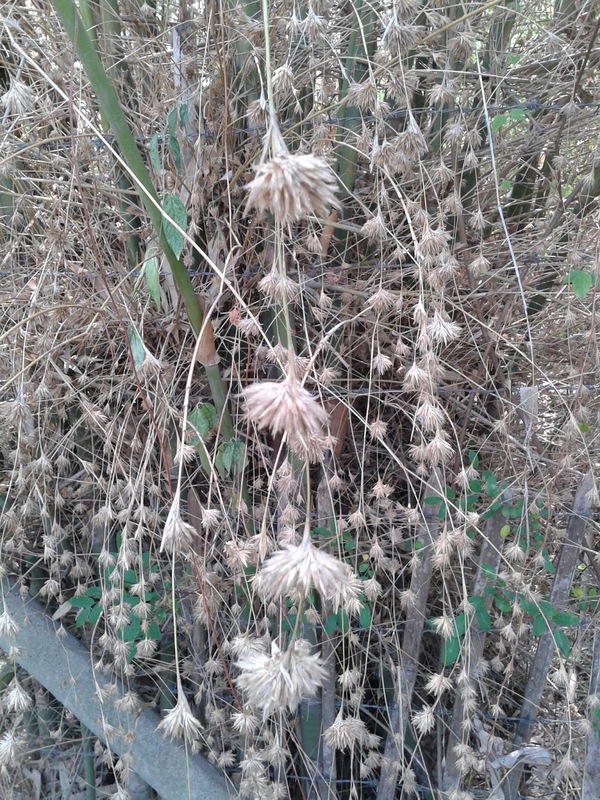 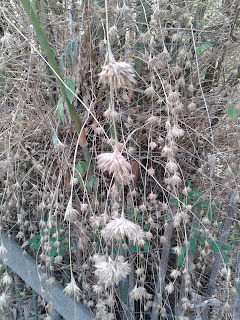 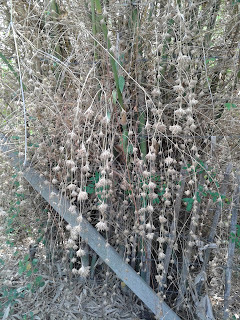 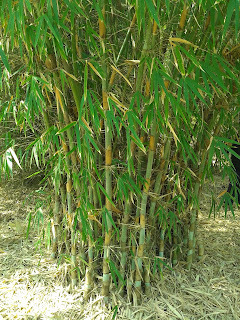 ■ Height 9-12 m; culm diameter 5-7 cm; dense clumper; habit upright, branches thin, numerous and short. 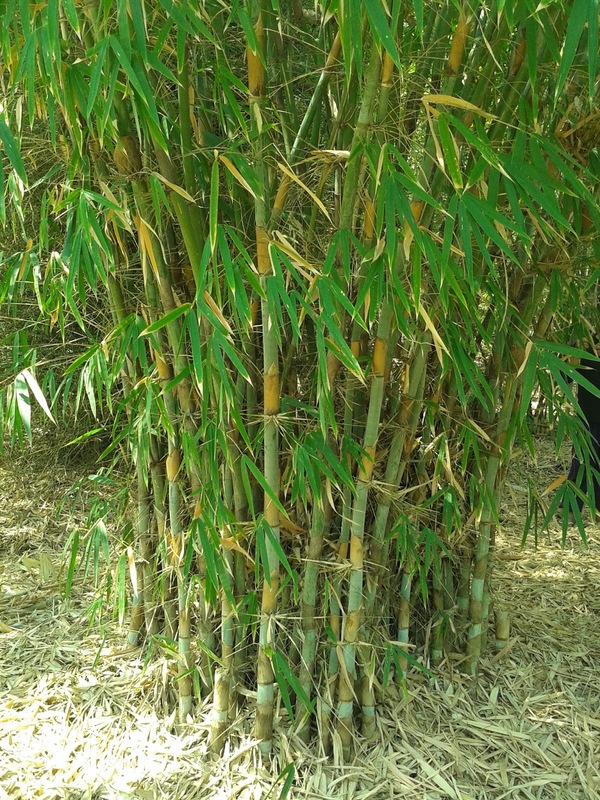 ■ A beautiful bamboo which does not require much space in a garden. 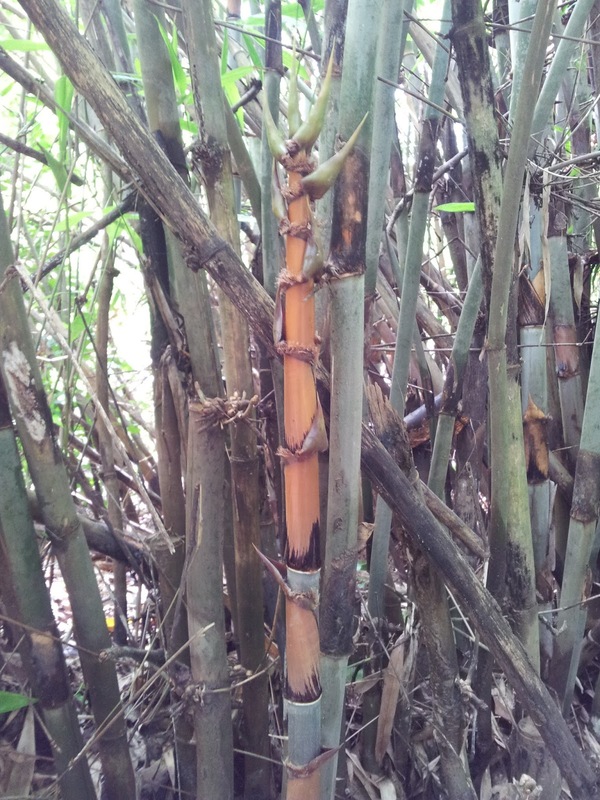 Culm sheaths golden yellow on bluish young culms. 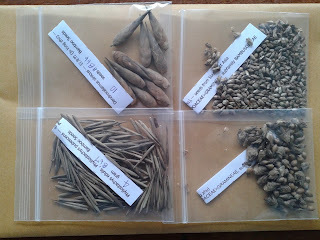 Native of Thailand. 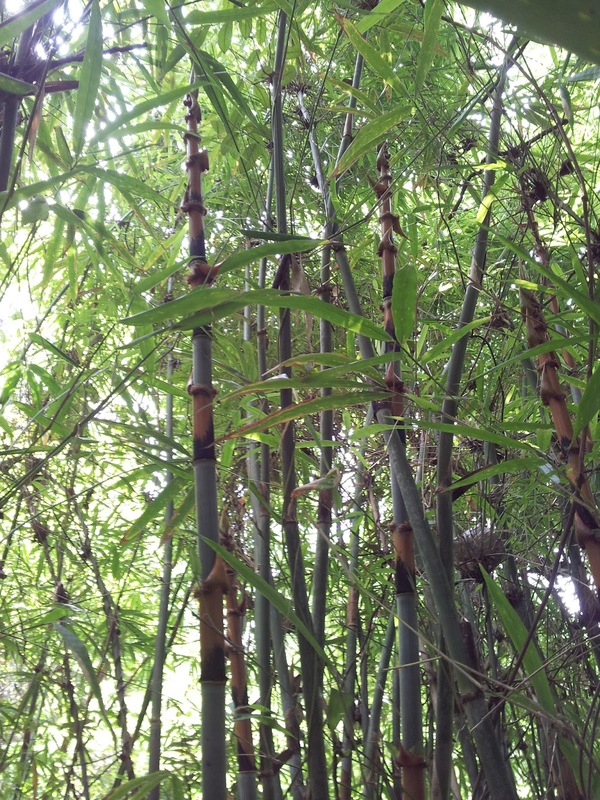 ■ Moisture-retentive soil, sun, light or partial shade. ■ Solitary or group, best in the light understorey of tall trees. 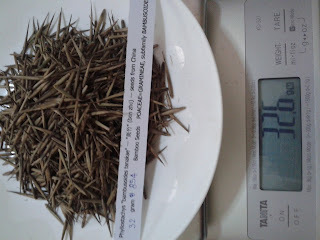 Culm sections are used as cooking vessels for a Thai dish called ข้าว หลาม (khao lam), thus this species has been over-exploited in Thailand. 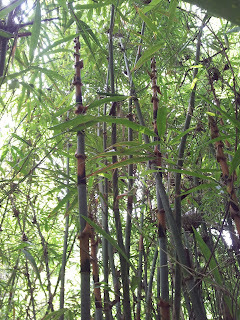 Culms used for light-weight construction and split work. 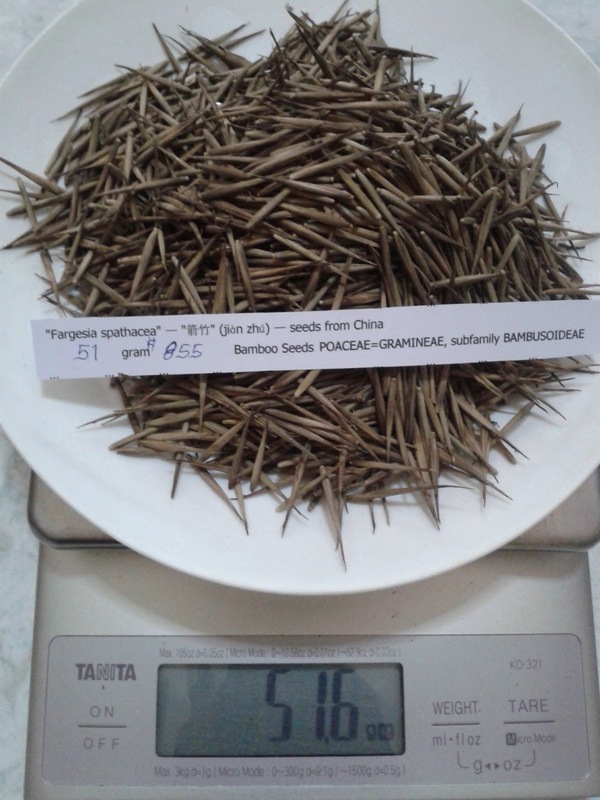 Preparing bamboo seed for export.